After nailing a 17/20 and a massive 9/2 double on Saturday, Jake Jackman with some selections for the Group F opener as Austria take on underdogs Hungary. Group F kicks off on Tuesday, and will signal the end of the opening round of fixtures. It is an interesting group, which sees Portugal battle it out with three sides that aren’t very experienced at tournaments. This is only Austria’s second European Championships, while Hungary haven’t played in the competition since 1972. The other country in the group, Iceland, are making their debut at an international tournament. The new format of the competition allows these smaller countries to make an impact on the international stage, and that has already been seen in the competition, with Wales being the big winners so far. This fixture sees Austria take on Hungary, which is a grudge match and known as the Habsburg derby. Austria are seen as many people’s dark horses after a very impressive qualifying campaign. This writer has an each way bet to win the competition, and anyone who read my preview for Group F will know I think they will win the group. Meanwhile Hungary are seen are one of the worst sides in the competition, and are unlikely to do much at this competition. Austria have a very well balanced side, which is why they are fancied by so many. The defensive line is likely to include Sebastian Prodl, Aleksandar Dragovic and Christian Fuchs, who are all experienced operators with plenty of experience in European football. Julian Baumgartlinger and Zlatko Junuzovic will play centrally, alongside the key man of the side in David Alaba. The Bayern Munich player is one of the most talented players of the tournament and thrives in a midfield role for his country. Meanwhile the likely frontline of Marko Arnautovic and Martin Harnik playing either side of Marc Janko should do well against a poor Hungarian side. I think there will be goals scored by Austria, which is why Austria -1 is one of my tips to get on. Hungary have done very well to get here and their surprise play-off win over a superior Norway side. They will likely take confidence from the performances of Albania and Northern Ireland, who both competed well in their first matches. However, I don’t think they will be as effective, and their lack of an out ball is a worry. They do have one very good creative player in Balazs Dzsudzsak, who could cause a threat in the final third. Tamas Priskin and Krisztian Nemeth are both contenders to lead the line, but neither are the ideal profile for the tactic Hungary will look to play. They may try to use their pace in behind, but that won’t worry Austria, who are very good defensively. I don’t think they will get much joy out of this tournament. In terms of tips, I think Austria -1 is worth a bet, especially as the odds on a Austrian victory aren’t that appealing. Marc Janko should be fit and he has had a very prolific career both at international level and for numerous clubs. 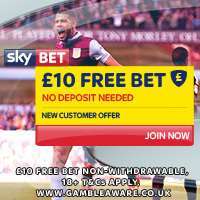 If you fancy a goalscorer bet, look no further than Stoke City’s Marko Arnautovic, he is a hugely talented player and may see this tournament as an opportunity to get a move back to the top of the European game. In terms of a scoreline, I think Austria will score at least three goals and with the lack of threat in the Hungary side, Austria 3-0 is appealing.